The detail of “Neko-Break Exhibition” main festival is now decided! The famous creator will illustrate your beloved cat!? 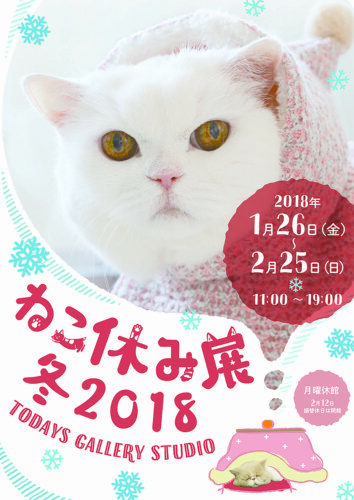 BACON CO., LTD. will host the main winter festival of “Neko-Break Exhibition” which is a joint photo & goods sales exhibition gathering popular cat creators with more than 350,000 visitors from Friday January 26th 2018 to Sunday February 25th in TODAYS GALLERY STUDIO (Asakusabashi, Tokyo). This time, the detail of collaboration project with popular creator, of popup store and of new project exclusive on cat’s day are decided. *Special gift for visitor is limited in number. The postcard of Mio Hashimoto, the sculptor × Hoippu will be a gift for first visitors. 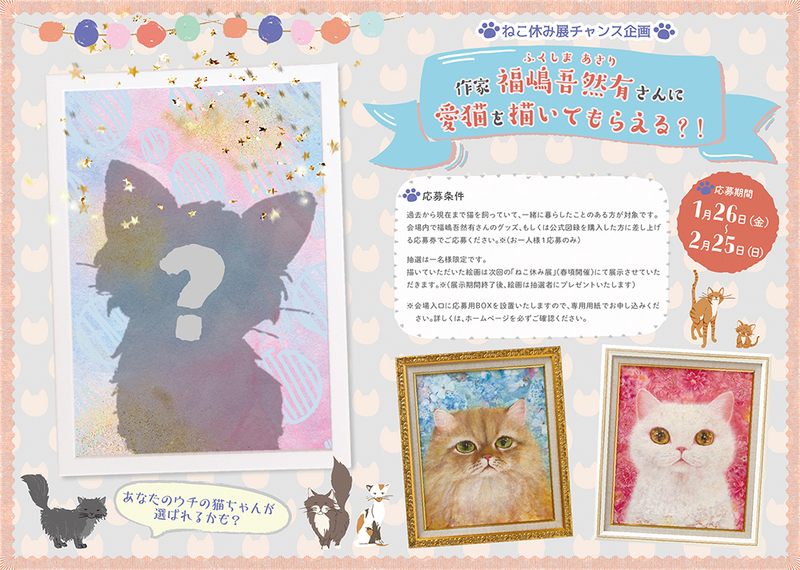 Chance project in which Asari Fukushima will draw the beloved cat! have drawn star cats such as Fuchan, Uracan, Hoippuchan in the past exhibition, draw his/her beloved cat. Among those who applied on site, we will select one by lottery and Asari Fukushima will draw his/her beloved cat afterward as a gift. The artwork will be displayed at the next “Neko-Break Exhibition” (scheduled to be around spring). Please verify the detail on the official website. ”Nyaito” party on the day of cat!! On the day of cat, Thursday February 22nd, we will be open until 22:00! Mid-Nyaito party & talk show will start from 19:00. There will be star cats’ trading card as a gift to the first visitors on that day. It will be over as soon as there is no more card. The detail of exclusive popup store is now official! Star cats pattern, the collaboration with Skog Marknad which is very popular in all exhibition, will be changed to cereal style. There will also be sweets box and popup store concentrating the world of kie, the designer. In the popup store, there will be various original goods only available on site as well as star cats collaboration goods. rojiman, whose fallen hair artworks was popular last year, will exhibit new artworks for the main festival! 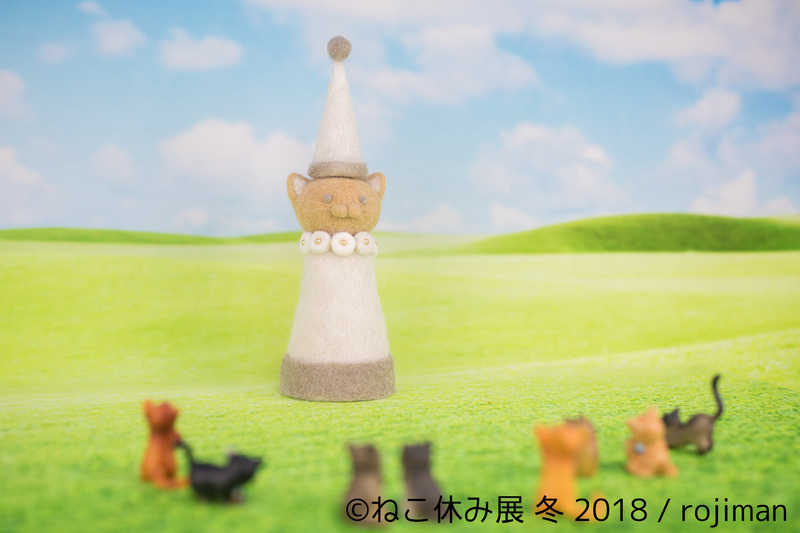 It’s the “Neko-Break Tower”, Also, “Welcoming cat” who visited Nagoya and Yokohama will be exhibited for the first time in main festival. Naoki Makino, the owner of Fuchan will shoot star cats candidates!? 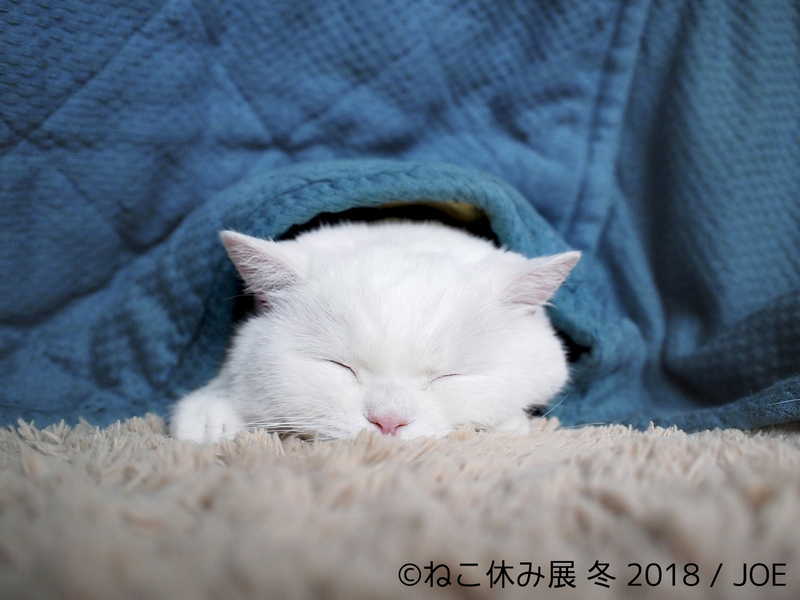 Star cat Fuchan who makes us relaxed with its cute figure. Husband of its owner, Naoki Makino who started his career as photographer will exhibit his artworks. The Model is Burichan of Neko cafe MOCHA (Akihabara) who is famous in TV and magazine. Artworks with Mr. Makino’s comment are the must-see! The cover design is by Naho Ogawa, a worldly-famous illustrator. 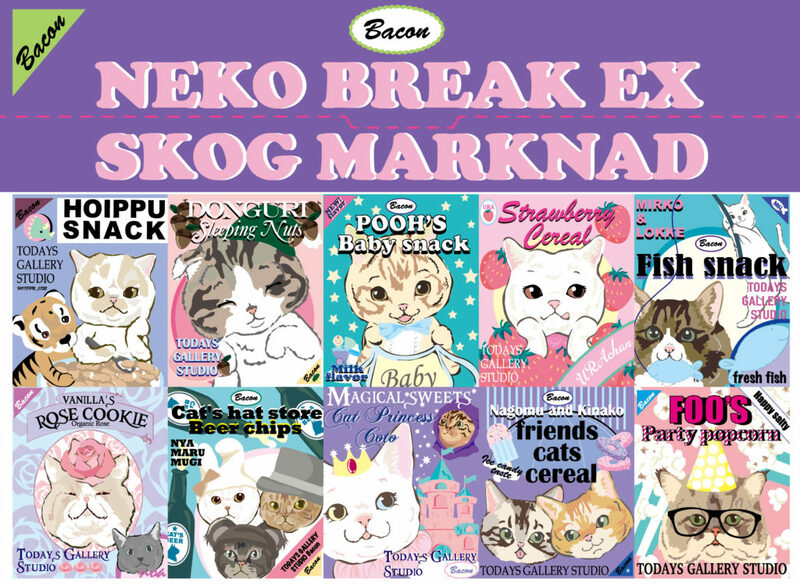 It’s the design full of Neko- break world which was popular in abroad such as in HongKong. There will be limited original postcard attached for the first version.